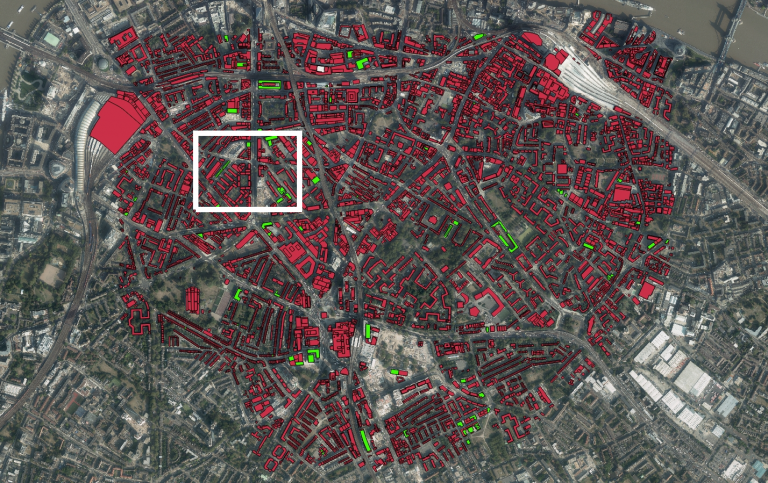 Sobolt have successfully piloted the SolarSearch tool to identify installed solar PV panels in central London. In collaboration with the Greater London Authority (GLA) – the regional administrative body for London in the UK – Sobolt employed SolarSearch to automatically locate solar PV installations from the sky. The pilot project focused on analyzing London’s Central Activities Zone. The dense built center of London including the major tourist attractions and the City of London historical and financial heart of the city. 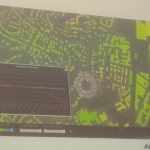 The results were very promising, SolarSearch identified 50% more solar panels than were recorded ​in central London through the UK Feed-in-Tariff data, provided by OfGem. Where are the solar panels? This question is answered by visualizing the results of Sobolt’s automated analysis. 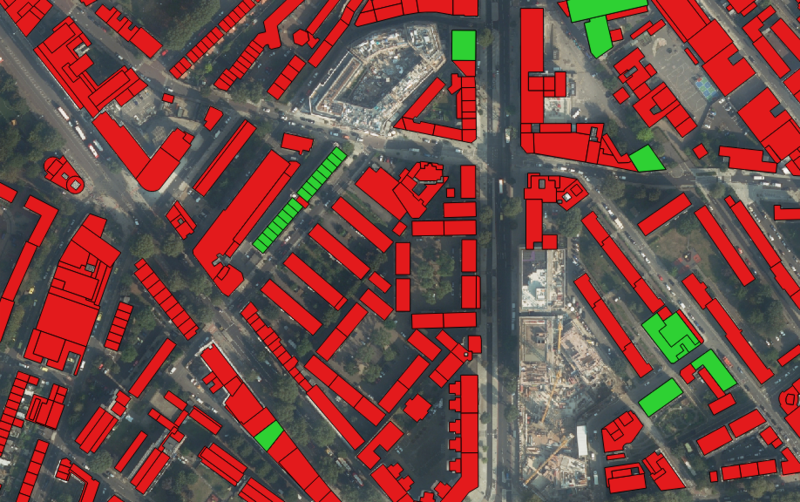 Buildings with installed PV panels are labeled green, buildings without installed PV panels are labeled red. The left image shows the South Bank district,the image on the right is zoomed in to the area within the white square.